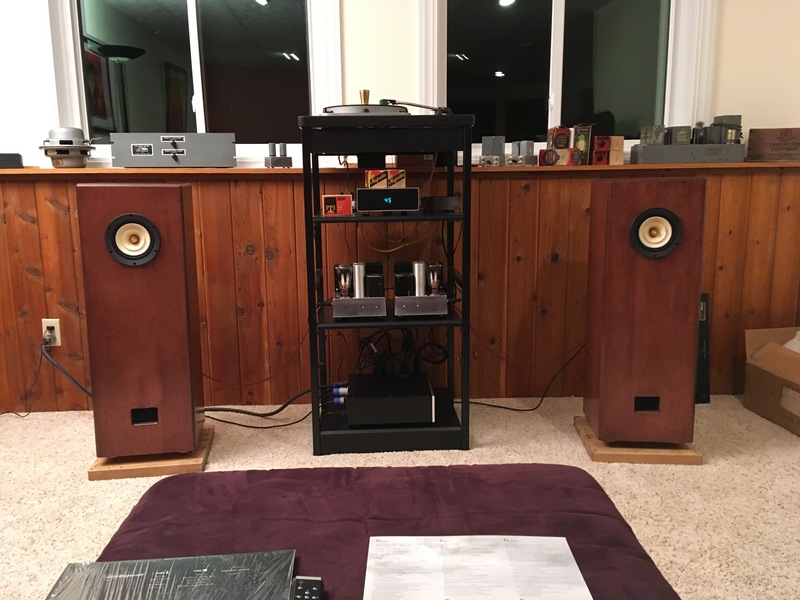 Are those a pair of Altec 755a drivers I see behind the left speaker? Uh, it’s a... highly modified Lenco? I've seen some Klipsch loudspeakers like that. In fact, come to think of it, I think that my loudspeakers, in the final analysis, may be considered to be highly modified Klipsch Cornwalls. I'm pretty sure those are 755As. The question is, is it an Altec or WE??? That certainly looks like an Altec sticker to me. Hah! That @ejfud character’s been on my case for a good while now, trying to get those drivers boxed up! Are your turntables just fit into a plinth designed to rest on top of your rack? If so, I should probably start designing a rack and turtnable plinth I could use to outfit several tables I have laying around. Love the pics, and the video! Good lord, those are gorgeous! I love the ROK , if I get the itch for another deck it will probably be a 34 cause thier cool. All your stuff looks great. Yep, the rack I am using has a top shelf that lifts off/out, and my turntable plinths have been just the right dimensions to sit on top of the rack supports like they were made to go there. In one case (the ROK) that's been true; otherwise, it's just been a lucky, happy coincidence that it worked out that way! The L34 is a great little rig, but this beastie makes those Rondine series tables look like toys! Definitely worth a look. 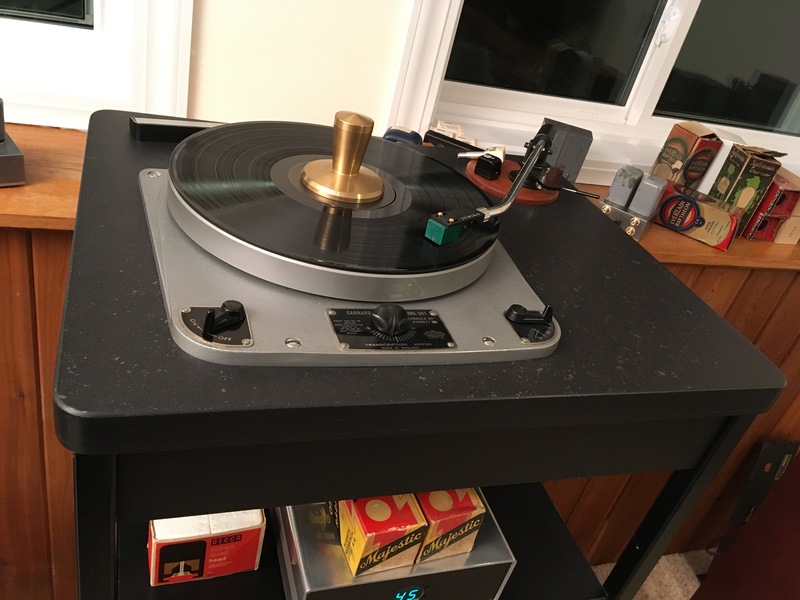 I have a Rek-O-Kut TR43H (formerly used as a cutting lathe deck) that I'd love to press into service, but the plinth would have to be 6"tall to cover the motor. It's just too hard to make something like that look good. A rack's the solution then! My first idler deck was a B12, about 11 years ago.